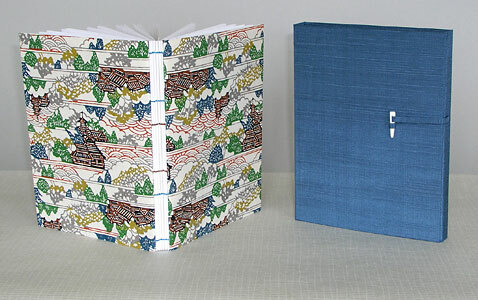 This simple Japanese book design is one of the bindings I have been teaching in the introduction to bookbinding class at Hampshire College. 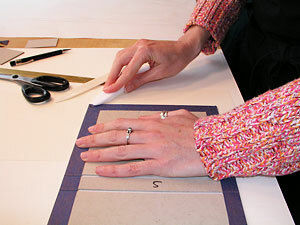 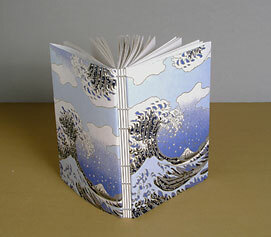 Work with exquisite Japanese papers and cloth to make a hand bound journal and folding box. 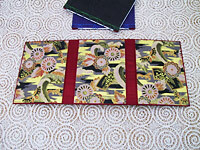 This binding is ideal for poets/writers and artists who want to bring their work into book form. 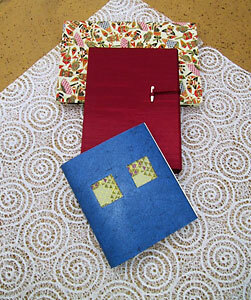 Dates: There are no workshops scheduled at this time. 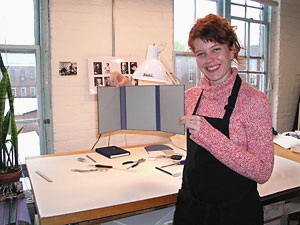 Email list: If you would like to be notified about the next schedule of workshop events please send an email to the address below requesting to be put on the email list for future workshops. 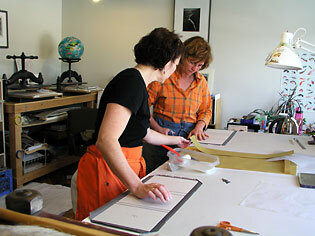 Fee: General price range for one-day workshops is $125 plus materials fee. 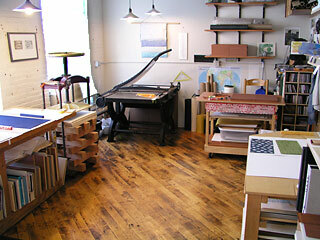 All hand tools are provided for class use. 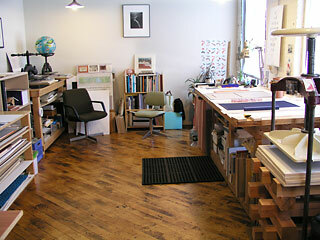 The work space is light and spacious with a beautiful view of Mt Tom. 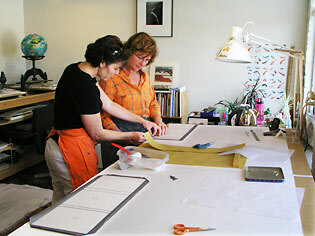 The classes are limited to four students so there will be more one-on-one instruction. 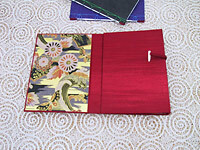 This book and the case to go with it are very satisfying to make and do not require any previous book making experience. 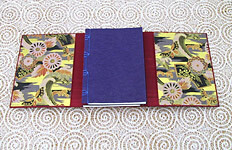 There are many non-adhesive exposed spine book designs that can be made in a day.